Access to healthcare is often defined by how much of another person’s money is used to subsidize it; rather than focusing on reducing the real price or ways to be more efficient! The quote below caught my eye recently. It seemed to contradict, or at least not support, another large study that clearly show a trend towards substantial savings when patients are spending more of their own money or when trying to make their deductible dollars go further. If the conclusions are valid and can be broadly applied, it would call into question a presupposition that most healthcare economists have held for quite some time: That being, when patients become medical consumers and are confronted with choices of how to spend their own money, they shop around and find better value and also don’t consume unnecessary medical services. This newer study published by the National Bureau of Economic Research seems to indicate that they don’t shop smarter, they don’t shop at all; but instead all the savings was from simply cutting back on all care. This is potentially troubling on the surface. It appears to indicate that when presented with high deductibles, that patients just stopped getting as much care! Could this really be true? Before we delve into the internals of this study, lets look at what other studies have shown. RAND Health researchers compared families before and after moving to a consumer-directed plan with similar families remaining in traditional plans to see how behaviors change in response to switching to a high-deductible plan. Vulnerable populations are not adversely affected by use of HDHPs…“key finding is that in almost all cases, CDHP benefit designs affect lower income populations and the chronically ill to the same extent as non-vulnerable populations. These effects include significant reductions in overall spending that increase with the level of the deductible and greater reductions for high deductible plans when paired with health savings accounts (HSAs) in comparison to health reimbursement arrangements (HRAs). This is an odd, but interesting study, at the same time. It was designed to judge patient’s responsiveness when given choices of how to spend their healthcare dollars and to see if they would be better shoppers due to having a high deductible. Yet the employer funds the HSA with amount equivalent to the deductible. Stay with me… So they go from zero price barrier situation where we have no idea how much of that consumption was unnecessary where the employee is completely price insensitive… to a situation where they have a high deductible fully financed by their employer in form of an HSA that the employee owns. That is free money that grows forever tax-free unless they take it out for something other than qualified expense. If they cash it out, they pay penalty and the tax, but it is still their money. But why would the authors of the study anticipate a drop in the cost of the average doctor’s office visit due to “smarter shopping” when the deductible payments are coming from an account funded by someone else’s money? Who’s the smart one now? Recall from above that the employer funded the HSA fully and in advance. And for those that made a prioritized decision not to go to the doctor as much as they did in the co-pay only scenario, they got to keep that deductible money because they own the HSA forever, as opposed to an Health Reimbursement Arrangement (HRA) or Flexible Spending (FSA) which are both use-it-or-loose-it propositions and unused funds are retained by the employer. Here is something else to consider. 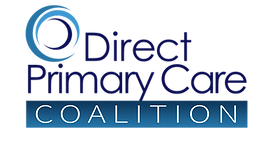 Were there even any cash-friendly or alternative practice such as DPC available for them to chose? If the network was fairly tight with high level of provider participation, I would not expect posted CPT prices to vary all that much. And they likely ran all encounters through the billing cycle so they were billed out at the regular CPT posted rates. Also, notice that the employees moved from a zero deductible plan to a fairly high deductible plan. We really have no way of knowing how much unnecessary or redundant care they might have consumed under the zero deductible plan, so we can’t speculate except to say it is hard to believe very much thought was given regarding necessity under the old plan when out-of-pocket cost were basically just co-pays. If I were the employee in that situation, here is my thought process when it comes to spending my HSA money: If I really need medical care or want to get something done or want a certain test, who cares how much it costs, I’m not out anything really. And, If I don’t really need care, I get to keep the “free” money in an account I own forever even if I change employers . The design of the health plan causes a situation where there is simultaneously both price insensitivity when spending was needed AND an incentive not to spend as much due to the fact that the employer funded the deductible and because of the savings vehicle chosen, that being an HSA. Is it any wonder the study results show that the employees did not learn to price-shop? This employer-funded HSA is extremely important when analyzing what happened. Remember, they went from essentially nearly free care to an employer-funded HSA that covers their entire deductible… and an HSA is the EMPLOYEE’S money once it hit the account. So the design of the plan resulted in the employer essentially paying the employee NOT to consume medical services! And when they did spend their deductible dollars, they had no incentive to care about price because it was “free” money basically like a pre-paid gift card! The study authors apparently failed to recognize this reality and instead proclaimed that high deductibles don’t lead to better consumers, just less consumption! Let that sink in. One one hand the employees simply made a choice that favors their own economic self-interest by accumulating someone else’s cash in their HSA if care wasn’t really necessary in their view; and on the other hand they spent freely if the need arose for the same reason. And how many people honestly would let their own health suffer when they could have used someone else’s money to pay deductible expenses? So what does that tell you about how much potentially unnecessary care was consumed in the zero deductible plan? Furthermore, there is no data indicating anyone suffered because of less consumption under the high deductible plan. Now if they had offered employee a percent of savings in any given expenditure, paid as cash award, then you bet you would have seen some savvy shoppers. Let me be clear, HDHPs are not the answer to controlling healthcare cost and will not result in a total alignment of priorities and incentives. Do they help move the needle in the right direction? I think yes. But the answer lies in establishing a real non-insurance market for routine care that is free of the baked-in inflation and price confusion/dishonesty of our billing protocols. Only a market with real prices will allow consumerism to work its magic. We are not there yet. Based on the design of the health plan in this study, it is impossible to conclude that high deductible plans don’t produce smarter shoppers, because their was an incentive NOT to spend built into this particular plan and there was no reason to care about price because the deductible was funded by employer money. It their attempt to neutralize the potential negative effect of the deductible on medically necessary utilization, the plan design made the outcome a foregone conclusion. But the study does show that the employees outsmarted the authors of the study by simply acting in their own self-interests and exercising good judgement. People can easily be paid to do nothing to accumulate someone else’s money (legally). We tend to spend “free” money or other people’s money with less discrimination than when it is our own. Never take a headline at face-value or believe a study without reading it yourself.